Put your pets natural instincts to use with the NEW Brainiac™ Bat-A-Ball™ from Flipo! 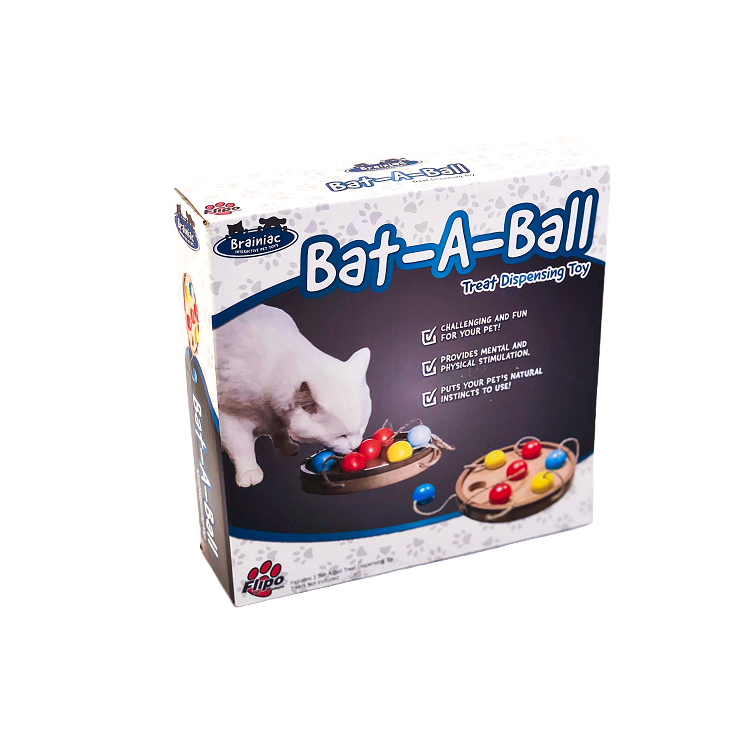 The Bat-A-Ball is designed to keep your pet engaged and active for extended periods of time. 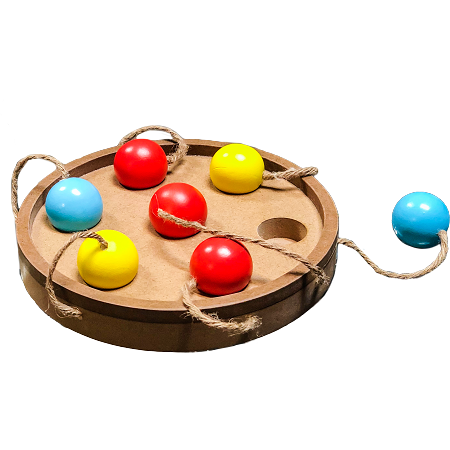 The disk-shaped toy has 7 wooden balls connected by string that your pet must move to find treats you have hidden within. 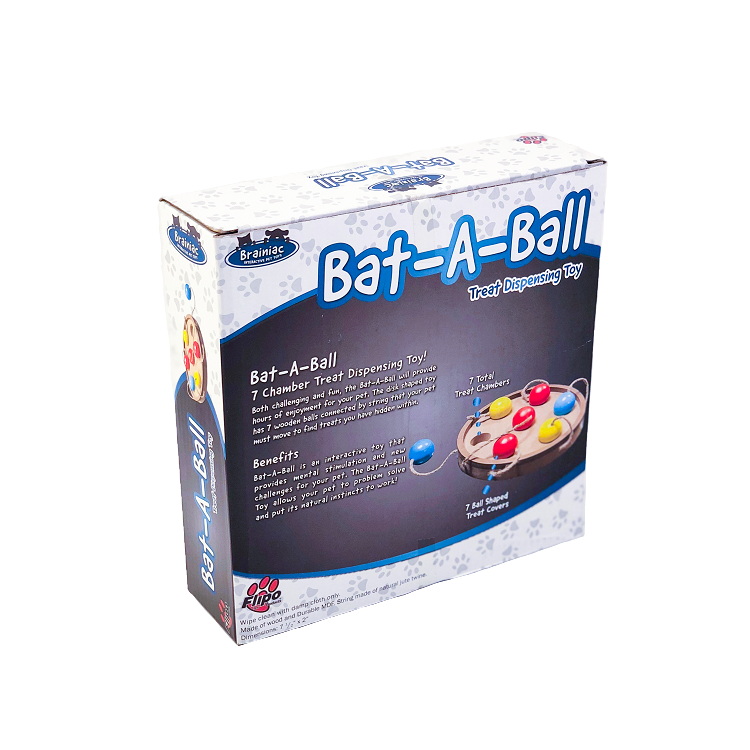 Provide mental stimulation and new challenges for your pet with the NEW Brainiac Bat-A-Ball from Flipo! Treat dispensing toy for pets. 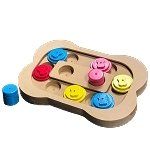 Made of durable MDF. String made of natural jute twine. 7 total treat chambers and 7 ball-shaped treat covers. Not a chew toy. Intended for supervised use. Dimensions: 7 1/2" x 2"